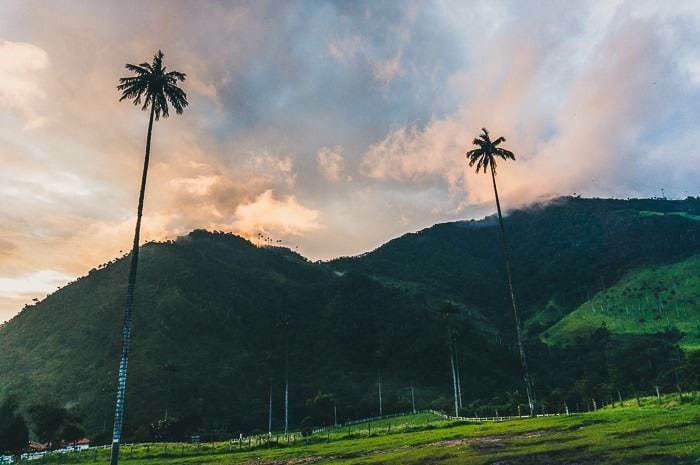 Colombia has been one of the best kept “secrets” of South America as it sheds its previously violent past full of civil strife and narcos, to one of the coolest tourist hot spots. I decided to start my South American backpacking adventures by traveling to Colombia and then working my way south, but I loved it so much that a few planned months turned into a year and I never even made it to Ecuador and beyond as originally planned. 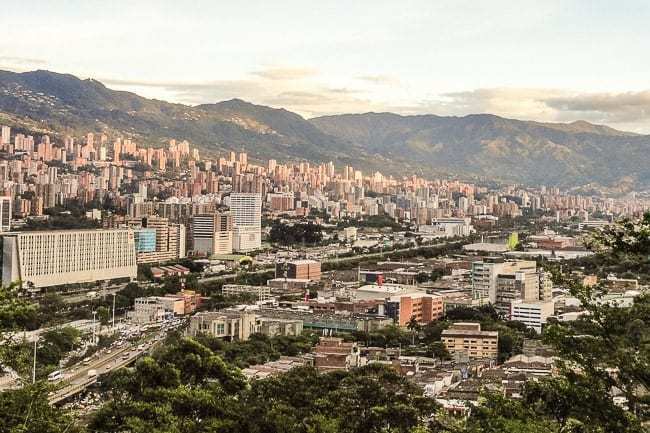 Since then I have settled down in Medellin, Colombia as an expat, spending more than two years in total in Colombia, and traveling virtually all over the country from Palomino on the coast to Mocoa in the south, and everywhere in between. History lovers will enjoy trekking to the Lost City or seeing the ancient statues in San Agustin. Beach lovers will love the many beautiful beaches along the Caribbean Coast, like those near Cartagena or Palomino, or the wild and virgin Pacific Coast. Big city lovers will dig the sprawling cosmopolitan metropolis of Bogota or the innovative and cutting edge city of Medellin. Nature lovers will enjoy the sprawling canyon of Chicamocha, the snowcapped Andean mountains, or the many natural wonders throughout the country. Colombia has an incredible history, warm and friendly people, a vibrant culture full of music, art, and dancing, good food and exotic fruits, and so much more. In the following guide to Colombia, I will be covering some of the most common questions about Colombia, general itinerary advice, and cover the highlights of this incredible country. This is always the big question for anyone considering traveling to Colombia for the first time… Just the name Colombia conjures about bad news about kidnappings, drug kingpins, civil strife, paramilitary forces, guerrilla fighters, and so much more. That history was certainly real, and it wasn’t even that long ago, but thankfully things have changed dramatically over the past 10 years or more, and Colombia is a perfectly reasonable place to travel to. There’s really no reason to worry about kidnapping, narcos, or guerillas in today’s Colombia. Now does that mean it’s totally safe? No, you should still exercise common sense precautions when it comes to day to day safety and security. Colombia is much like the rest of Latin America in that you should exercise precautions about valuables and be aware of the possibility of robberies or theft. It’s not likely to happen if you exercise precaution and a little street smarts, but there always exists the possibility of being in the wrong place at the wrong time. Best Time to Travel to Colombia? 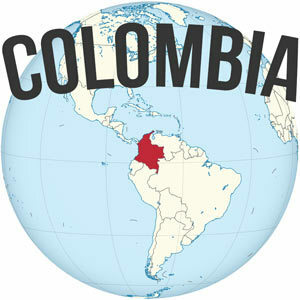 December through March is considered to be the best season to visit Colombia because this tends to be the driest time. This is also the high season for travelers, both Colombians and foreigners, so prices can soar in super touristy areas like Cartagena. But honestly, Colombia is a year-round travel destination thanks to its position near the equator. Even during rainy seasons, the rains aren’t usually enough to severely impact your trip. For instance, the normal in Medellin during the rainy season is a heavy but short deluge in the afternoons. It rarely rains for days on end, but the rains are strong and intense when they do come. There are parts of the country that can be prone to landslides, which could impact bus travel between cities, especially in more remote regions, so it helps to stay aware of these things and talk to the locals. For the most part, the landslides are fixed within a day and traffic is moving again. Read more about the best time to visit Colombia here. Colombia is home to approximately 50 million people, making it the fourth most populous country in the Americas, after the United States, Brazil, and Mexico. In terms of land area, it’s the fourth largest in South America, after Brazil, Argentina, and Peru. They use the Colombian Peso, which has recently been about 3,000 pesos per dollar. The easiest conversion is just adding or dropping three zeroes and multiplying or dividing by three. So 180,000 pesos is: drop three zeros for 180, divide by three for 60, so roughly $60 USD. If you’re thinking about traveling to Colombia, then you may be concerned about how much you need to budget daily. 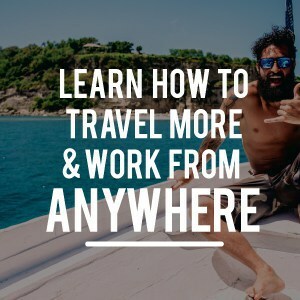 For budget travelers, you honestly couldn’t have picked a better destination, because it’s possible to do a lot on a very small budget. 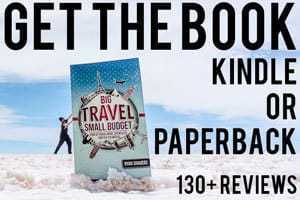 This is due both to the fact that a dollar goes pretty far there at the current exchange rate, and also there are simply a lot of cheaper options for the budget-conscious traveler. Here are some travel tips for seeing Colombia on a budget. One of the great things about many of the places in Colombia is that there are many things to do for free. Most mid to large cities have free walking tours that give you the opportunity to see much more of the area and learn a great deal more than you otherwise would on your own. These tours are the perfect opportunity to get off the beaten path and forge your own trail and memories. What’s more, on Sundays many museums in Colombia are free, as well. Of course, each city is different when it comes to free offerings, so a little research is always good (the individual city guides below will help). Even activities that cost money are relatively cheap in Colombia. It only costs about 45,000 Colombian Pesos (COP) to enter most national parks in Colombia. At today’s rate, that’s about $9.00! Coffee plantation tours are also cheap, some as little as 15,000COP ($4.50). Plus you can find all sorts of other fun activities ranging from multi-day trekking to adventure sports or activities (like whitewater rafting, paragliding, rappelling, and much more) that offer a great value. Like many places, Colombian cities have many dining options, but one of the cheapest food options is available on the streets. You can often fill your belly for a fraction of what you would pay in a restaurant – for less than 10,000 COP (about $3.00) — but if you do prefer going to a restaurant, you can still find budget-friendly options. Street food is the cheapest way to go when eating at night, but one of the best values is at lunchtime when you can grab a fixed course menu of the day for around 10,000 COP which includes a soup, main plate with your choice of protein, and a fresh fruit juice. It is an incredible value! Typically, a meal at a fast food restaurant will run about 15,000 COP (about $4.50) to 25,000 COP ($8). If you go to a more upscale sit-down restaurant, you can expect to pay 25,000 and up for the main dish (typically between $10-15). Another thing that’s super cheap in Colombia is accommodations. A typical budget hotel room might run about 50,000 COP (about $16.00), and that will usually include free WiFi and sometimes even breakfast. Of course, you can always pay more to get more, but if you’re looking to sleep cheap, there are many options. You can even go cheaper and find dorm rooms or hostels which are the most budget-friendly options. A bed in a shared dorm here might run about 20,000CP ($6.00) or so. If you are traveling as a couple, it is better to grab a private room rather than a dorm since the price is almost the same. That goes for traveling with a friend too since the rate for two single beds is usually the same price as one double bed. Read more about finding cheap accommodation here. As you can see, it’s easy to experience Colombia on a budget. 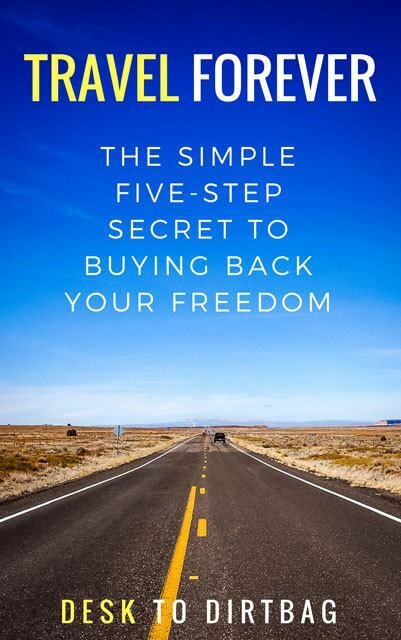 Whether you’re backpacking Colombia or trying to travel in slightly more comfortable settings, almost everything you end up doing will cost less than you would expect. Traveling to Colombia often means you can get by spending as little as $25 a day and still enjoy great food, and fun, and sleep in relative comfort! It offers one of the best values for the dollar in all of South America, for sure. Attached with each point on the map is a link to additional resources and information about each destination, so you can plan your trip while traveling to Colombia in terms of the destinations in nearby areas. I hope it proves helpful as you decide where to travel in Colombia and as you are planning your trip. Mistakes People Make When Planning a Trip to Colombia – It is important to bear these things in mind so you will have a smooth and great trip. 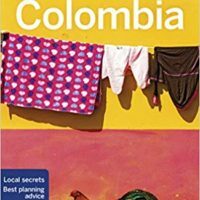 Places to Visit in Colombia – Colombia is a BIG country with a lot to see, so it can be hard to winnow down where to go and what to do, here’s what I’d recommend as top picks. Colombia Packing List – Here’s what I took with me as a backpacker, equipped for camping, city travel, volunteer work, and a variety of climates found throughout Colombia. Resources to Learn Spanish – English isn’t common at all in Colombia, so you should have a basic familiarity with Spanish before you arrive, but be sure to take Spanish classes upon arrival as well. Santa Marta, Colombia – A gritty but cool city along the sweltering Caribbean Coast, one that I preferred to the touristy and heavily trafficked city of Cartagena. 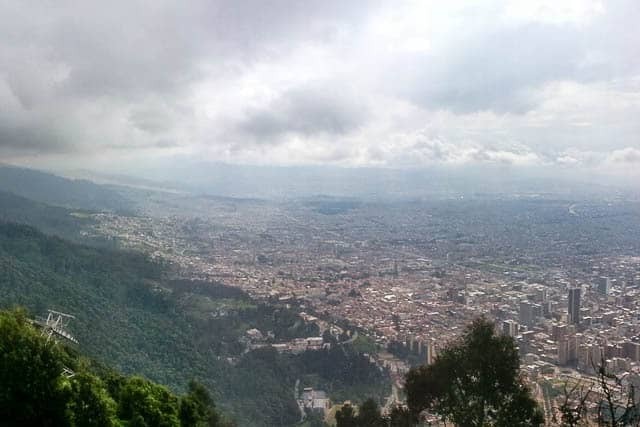 Bogota, Colombia – The bustling and cosmopolitan capital city of Colombia… It’s a place that can overwhelm the senses, but there is undoubtedly so much to see and do here. Popayan, Colombia – A pleasant little colonial pueblo known as the “White City” and for some delicious food. This was an unexpectedly great place, even after seeing lots of old, colonial cities. 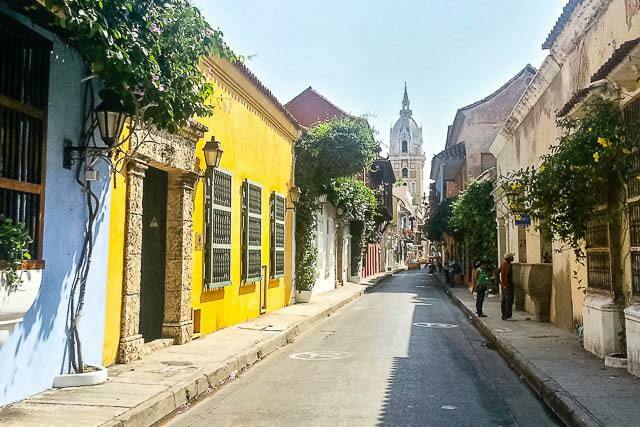 Cartagena, Colombia – What is undoubtedly the main tourist destination for both Colombians and international travelers, a place with colorful and vibrant streets, offering plenty to do. 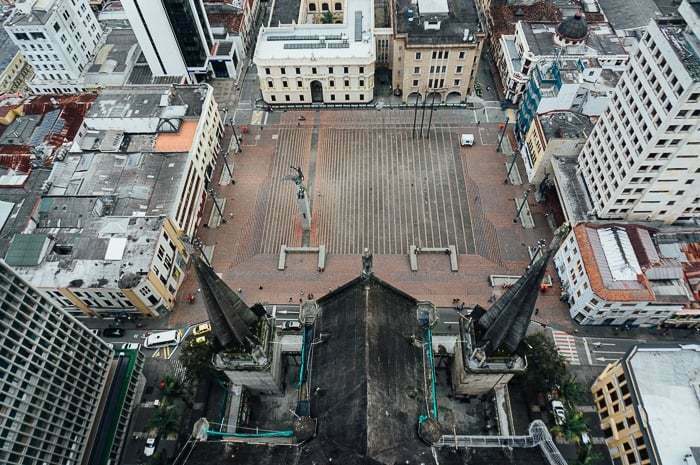 Cali, Colombia – A big, hot, and humid city that might be a little rougher around the edges compared to Medellin, but it’s full of salsa and a lot of heart. 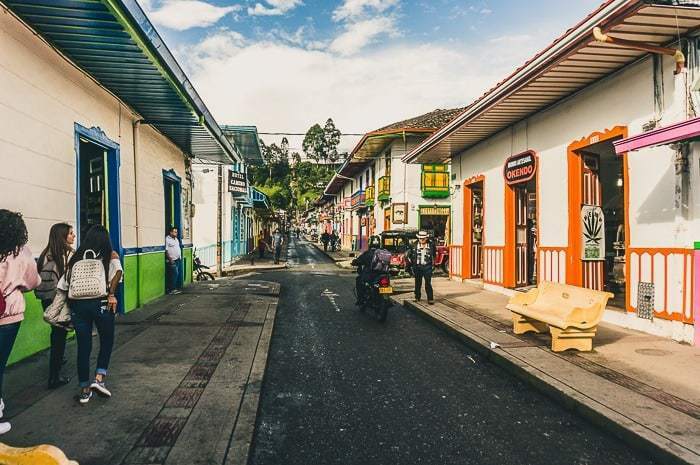 Armenia, Colombia – A city that was once devasted by a major earthquake has undergone a rebirth and is a great stop in the heart of the Coffee Triangle. Manizales, Colombia – Perhaps my favorite city in Colombia’s Coffee Triangle, with lots to do both in town and the surrounding area. The setting of the town is particularly incredible. 3 Days in Medellin – A structured and organized itinerary for three days of the coolest things to do, see and eat. Where to Stay in Medellin – An overview of the coolest neighborhoods for every type of traveler along with some specific recommendations about hostels/hotels in each area. Best Tours & Activities in Medellin – A few awesome things to see and do which will make your trip even more fulfilling and memorable. 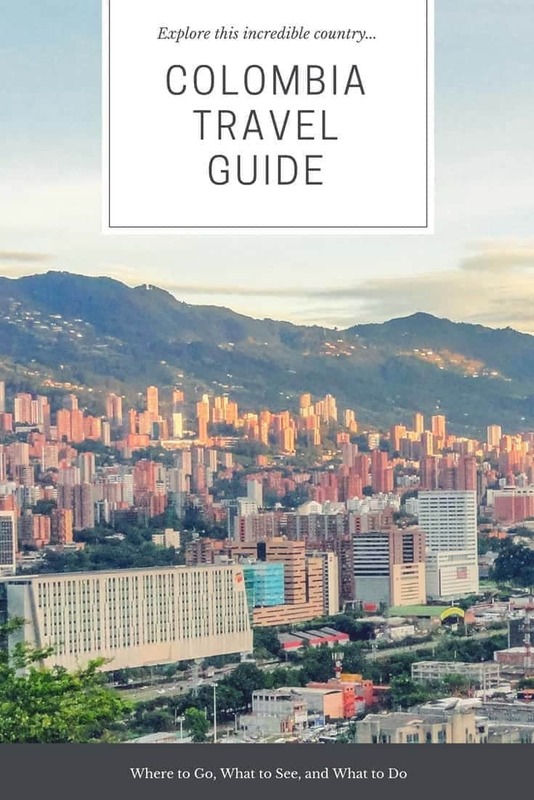 Guide to Laureles, Medellin – My favorite neighborhood in Medellin and a detailed guide for getting around and where to go. 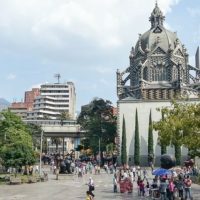 Guide to Medellin Centro – A detailed guide to Medellin’s downtown, places to go, things to do, where to eat, and where to grab a drink or a cup of coffee. The Best Coffee in Medellin – My favorite coffee shops for real coffee in a place where they mostly drink instant. Molecular Gastronomy aka the Fanciest Meal of My Life – Have a world-class dining experience for a fraction of what it costs in the States. 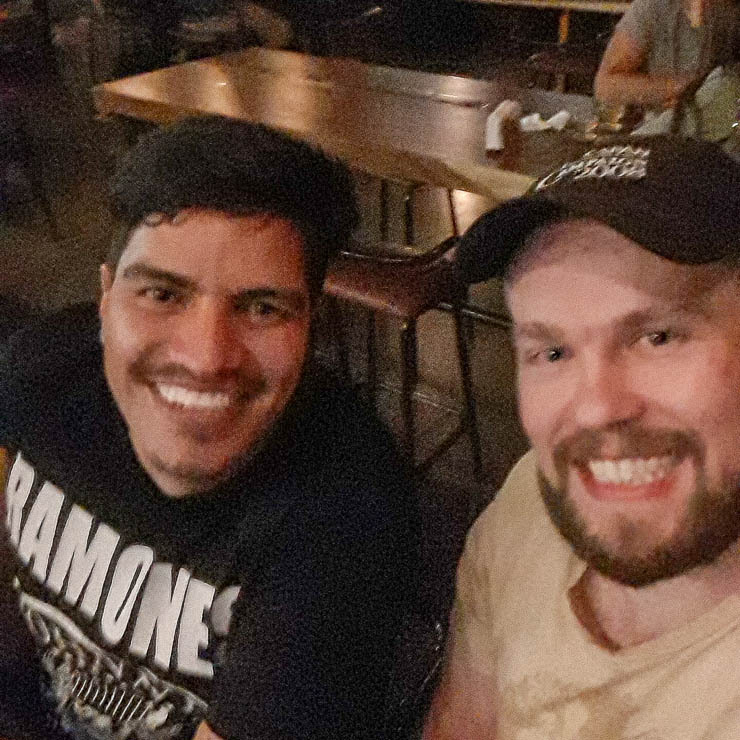 Where to Learn Spanish in Medellin – A few options for where to settle down and learn Spanish, and what I’d recommend. Cost of Living in Medellin, Colombia – How much it costs me for a month of living as an expat in this wonderful city. Great Beer in Medellin – In a place filled with watery beers, there are some small craft breweries putting out a great product. 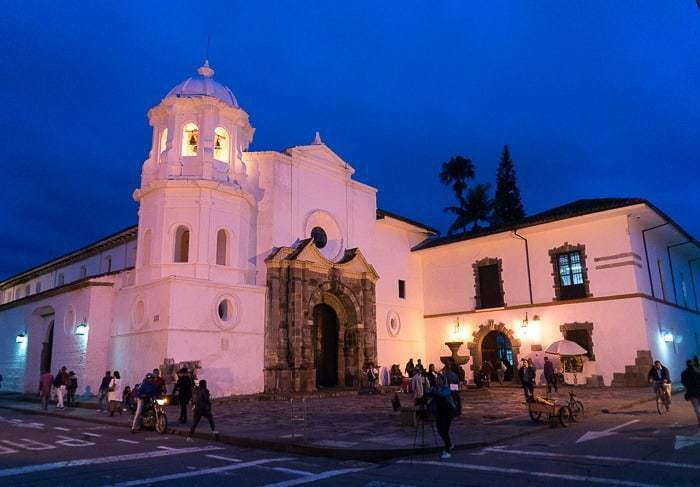 Salento, Colombia – A city that is perhaps most famous for the wax palms that lay outside of town, but there is still plenty to see and do in this great little pueblo. 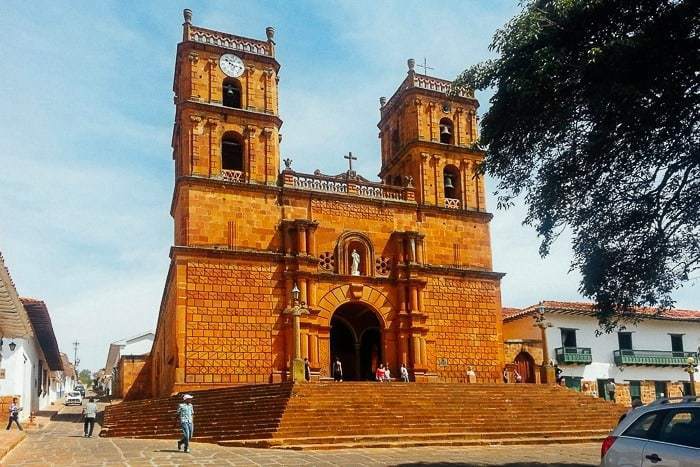 Jardin, Colombia – A colorful and attractive pueblo that sits just a few hours south of Medellin, there is plenty to do here if you enjoy kicking back for a bit while traveling to Colombia. 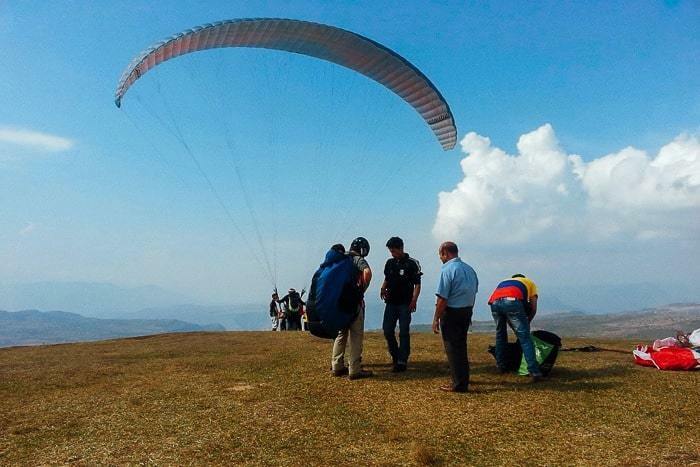 San Gil, Colombia – This little town is considered the capital of adventure sports in Colombia, a place where you can go white water rafting, paragliding, and more — all in the same day. Palomino, Colombia – A small and super sleepy ocean-side fishing village where you can kick back, camp on the beach, or hop in an inner tube and float down a jungle river. One of my favorite days in Colombia was here. 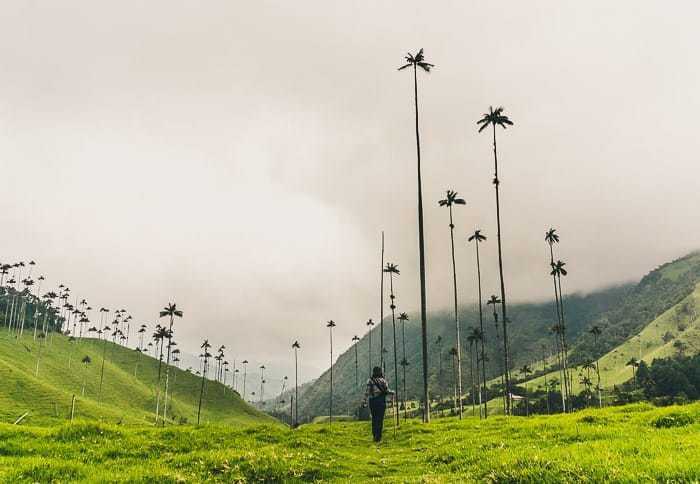 Hiking the Valle de Cocora – Perhaps one of the most unique natural landscapes in Colombia, where towering wax palms stand over verdant green valleys. This is a must do when traveling to Colombia. Hot Springs at Santa Rosa de Cabal – Along the edge of the coffee triangle, you’ll find the impressive hot springs of Santa Rosa de Cabal, a great escape or side trip from Manizales, Pereira, or Armenia. Rio Claro Nature Reserve – The Rio Claro Nature Reserve sits a few hours east of Medellin, and makes for a great escape to go camping, jump in a swimming hole, or just enjoy a nature break. 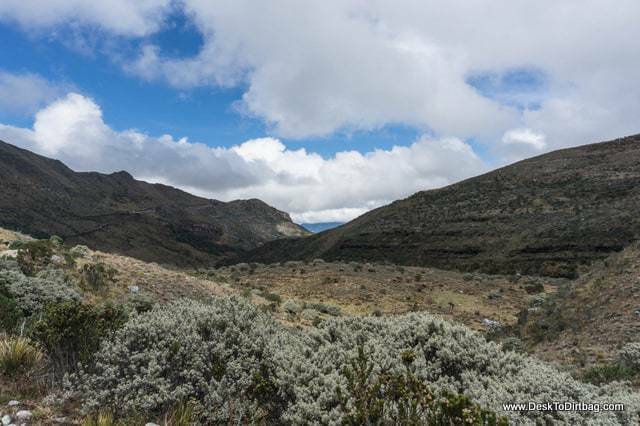 Trekking in the Sierra Nevada del Cocuy – Take a visit to the Andes and see snow-capped mountain peaks, alpine lakes, and high and windy mountain passes. An incredible and remote place to visit. 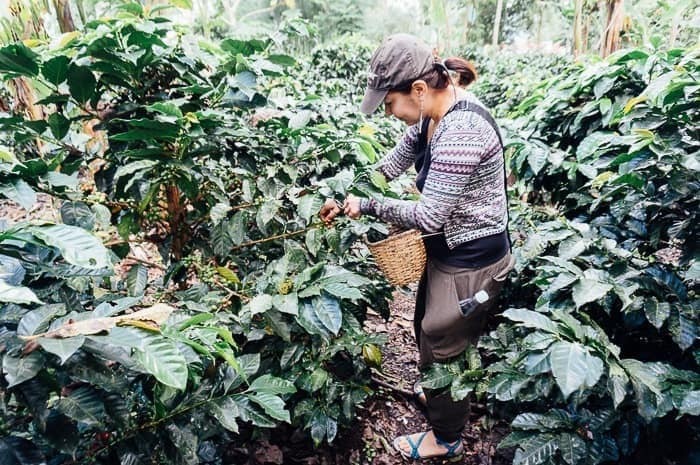 Touring a Coffee Farm – If you love coffee then you’ve got to make a point to visit a coffee farm while traveling to Colombia and spend some time in the heart of the coffee region, it’s an awesome and memorable experience. Hacienda Napoles – The former escape of the infamous Pablo Escobar, where he created his own African safari including hippos. This is a place where you can learn about the true devastation caused by Pablo. Colombia is an incredible country, and much safer than you would imagine it to be if you pay attention to all the horrific news or read too much into the State Department Travel Warnings. 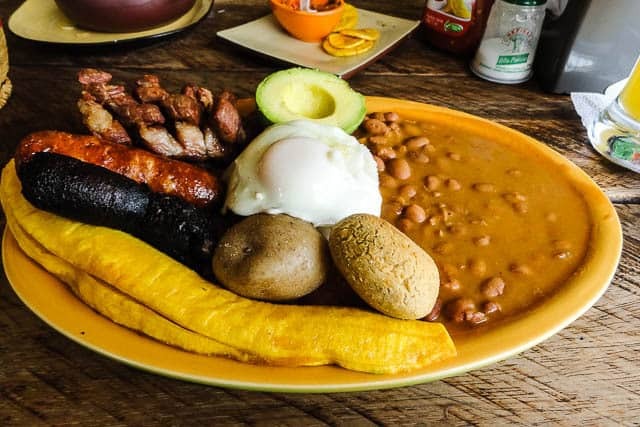 Guide to Colombian Food – Most people are curious about what there is to eat in Colombia, well I’ve explored the vast majority of its cuisine, so this huge guide should give you a good place to start as you travel through the country. Things I Hate About Colombia – These may be more applicable to those who live here long-term, but you will invariably run into some of these culture shocks if you are traveling to Colombia. So it’s best to be prepared for them before your trip. Hit the ground running when planning your trip to Colombia by booking a few tours or activities in advance. Don’t forget to purchase travel insurance to protect yourself against theft, sickness, and injury. I use and recommend World Nomads for the best combination of affordability and coverage. Need Help Planning a Trip to Colombia? If you need help planning a trip to Colombia and would appreciate getting a local Colombian to help organize your time, maximize your experiences, recommend some hidden gems, and ensure that you have a fun and unforgettable trip, then check out the folks at ViaHero for a totally unique and personally customized trip plan and itinerary that is specifically tailored for you and your interests. 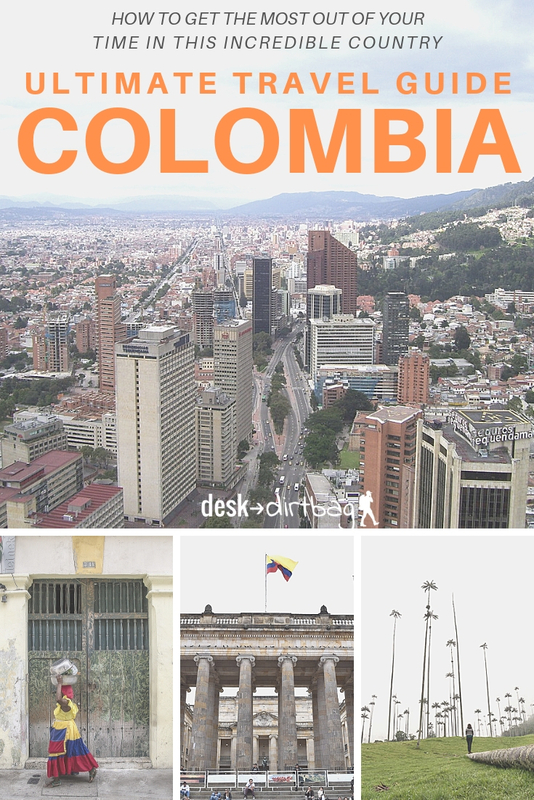 Desk to Dirtbag readers get an exclusive 5% discount to help for planning a trip to Colombia. Did you enjoy this free guide for traveling to Colombia? Please take a moment to share it on Pinterest, Facebook, or Twitter. Thank you! Great article! Colombia is an excellent destination if you love nature and hiking. When I went there last year I visited the Cocora Valley and I was impressed with such beauty! I recommend it very much! And this is not the only spot where you can do a wonderful hiking in the country, there are others!